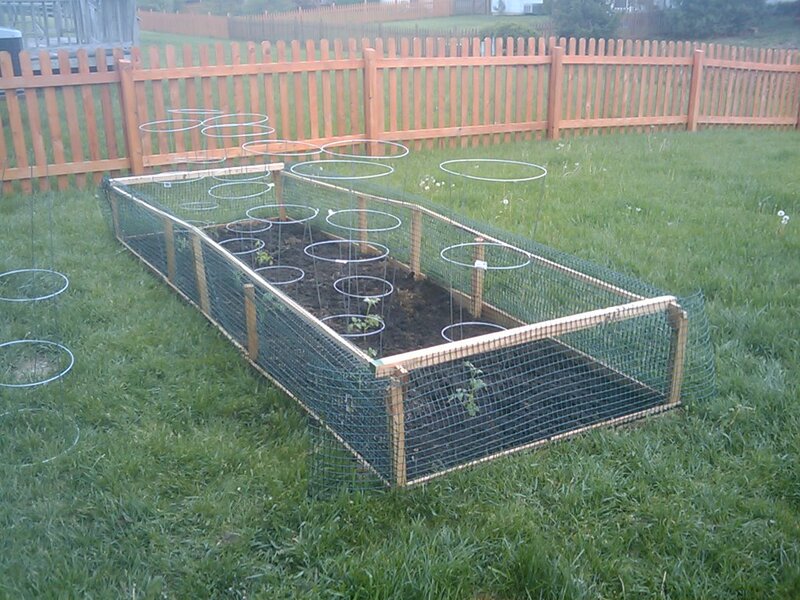 Phase one of our first garden is complete. 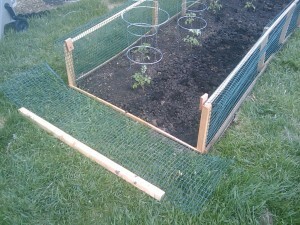 I made a 12 ft x 4 ft garden bed out of scrap cedar pickets, yard spikes, and plastic fencing. The first of 2 rows has a small variety of tomatoes. Phase 2 I have sereno peppers I’m nursing in the house. I actually have about 30+ sereno peppers nursing, I’ll be picking the 8 best to plant in the garden next weekend. 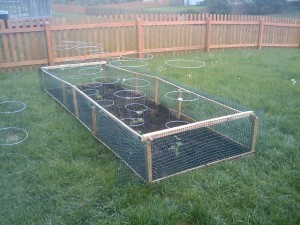 Heather planted 2 other tomato baskets, an up side down tomato plant from TV, plus a basket of strawberries. In the section picture, check out the simple door I made, all I have to do is pickup the top support over the braces held back by some praces along the parallel rails and lay it down on the ground. Makes it easy to get in/out of the garden.